In March 2018, the minimum and maximum temperatures was recorded at 15 degrees and 31 degrees, respectively. Rains lashed parts of the national capital, thus dropping the temperature and giving residents no respite from the cold weather. Delhi on Saturday recorded the coldest day of March in four years as showers hit the city with the minimum temperature settling at 13 degree Celsius, PTI reported. The maximum temperature was recorded at 19.3 degree Celsius, eight notches above the season average which also became the lowest in the last three years. Rain and thundershowers were witnessed at many places in Delhi, Punjab, Uttar Pradesh and some places of East Rajasthan. In March 2018, the minimum and maximum temperatures were recorded at 15 degrees and 31 degrees, respectively. About 0.6 mm rainfall was recorded in the city in the morning, whereas between 8:30 am and 5:30 pm, 2 mm rainfall was observed at the Safdarjung observatory, according to PTI. Humidity was recorded between 98 and 59 per cent. The Meteorological department has predicted cloudy skies on Sunday with the possibility of light rains and likelihood of hailstorm accompanied by lightning in some parts of the city. A Western disturbance inducing a cyclonic circulation lies over North Jammu and Kashmir, as well as Punjab and adjoining areas. Meanwhile, a trough has developed from East Uttar Pradesh up till Maharashtra. 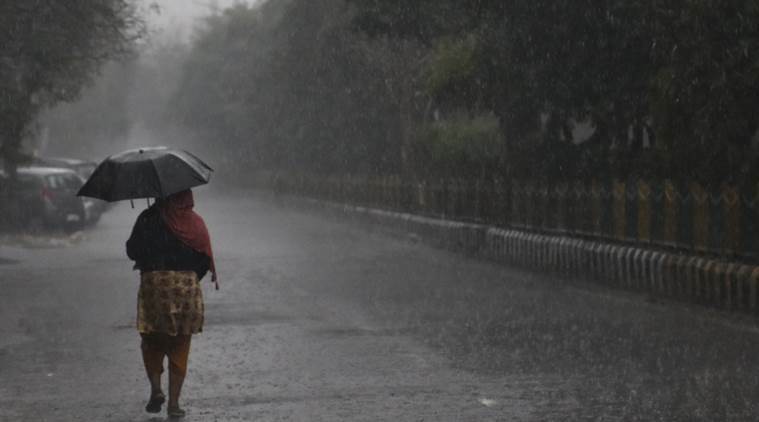 Rains were also recorded in parts of Arunachal Pradesh, Assam and Nagaland during the day, however, dry weather is expected to prevail over other Northeastern states. South Indian states will experience slight spells of rain with light thunderstorm activity, reported Skymetweather.